Jive recording artist Jawan Harris may have scored one with this one. He's got Hip Hop's princess little Reginae Carter (Baby Carter) as the leading lady in his new music video, She Will! The record gives you an opportunity to see who Jawan is an artist while he brings some of music's most classic r&b jams to the modern day audience. In a swagged (had to say it) out medley of She Will & Candy Rain, Jawan serenades a girl about how much he wants to be her boyfriend and how much he doesnt care that she has one! & yes, Reginae is that girl in the video! Got the little boys fighting over her already! Good luck Wayne & Toya! lol Reginae is growing up before our very eyes! It's crazy to believe she's actually 13! I think this video is so cute because relationships really do go down like this at that age. I had the pleasure of meeting Jawan at Key Swag's shoot here recently in Atlanta, he's such a little cutie & so respectful. 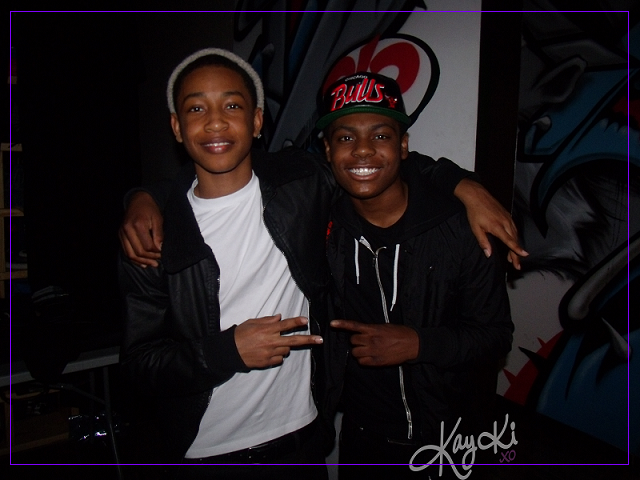 Look out for him on the Life of a Jett Setter tour with Diggy Simmons! Also check out his mixtape, "Its On! (The Mixtape)" now!